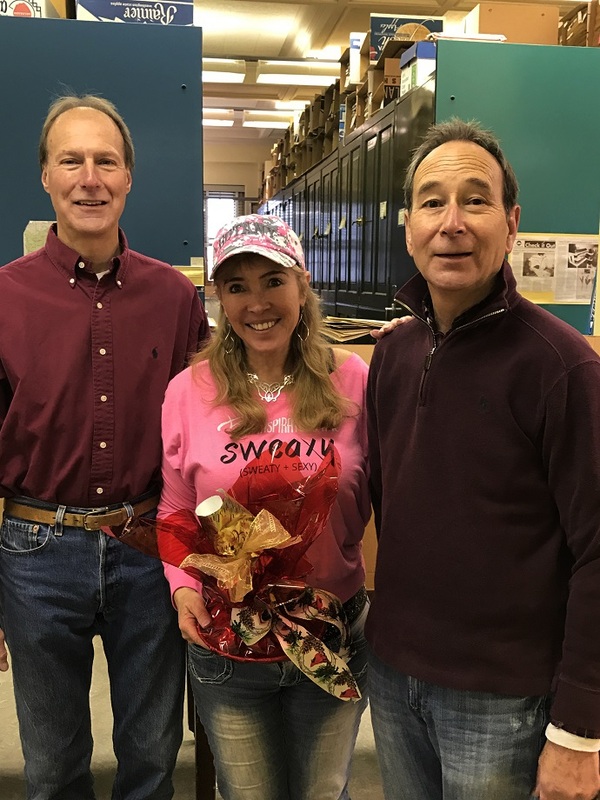 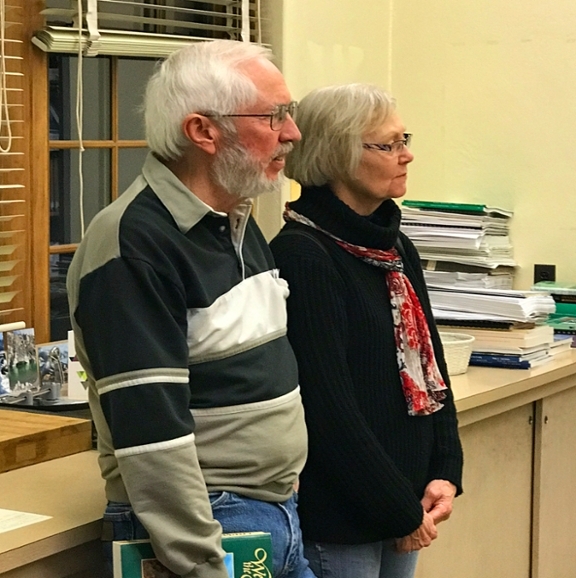 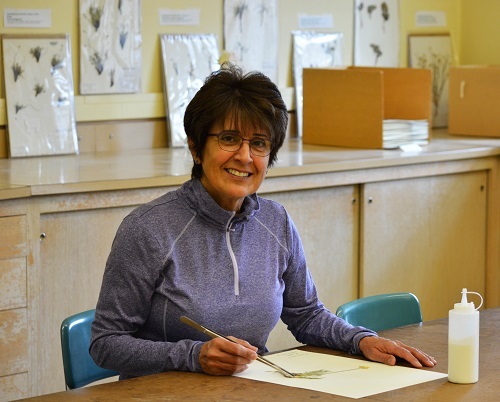 The Friends of the Rocky Mountain Herbarium was formed in October, 2015, with a goal of fostering local volunteerism, formalizing region-wide interest and support for the RM, and communicating information about the Herbarium to members and the larger community. 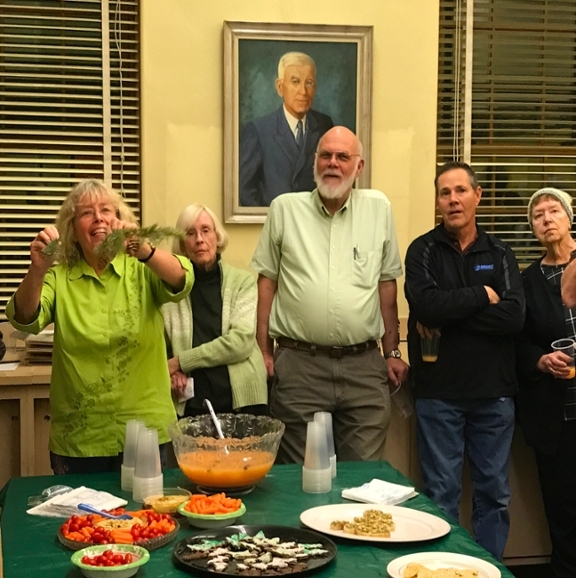 The Friends host occasional open houses at the Herbarium, speakers, and activities of interest to botanists, gardeners and plant enthusiasts. 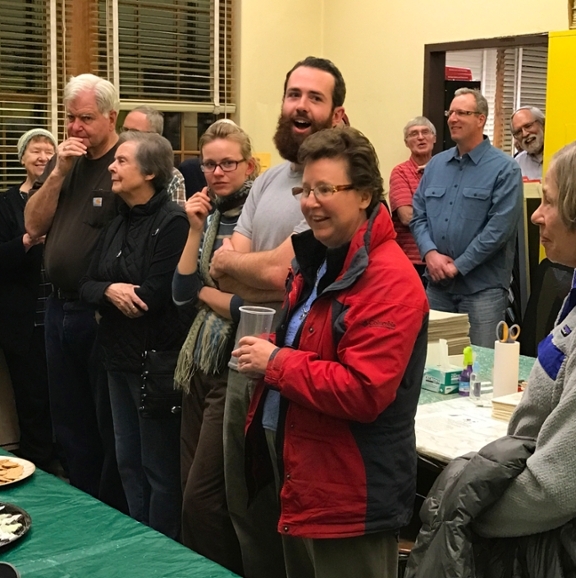 To receive emails about Friends’ up-coming events, and to receive the quarterly newsletter, send an email to RMFriends@uwyo.edu, or call the RM at 307-766-2236. 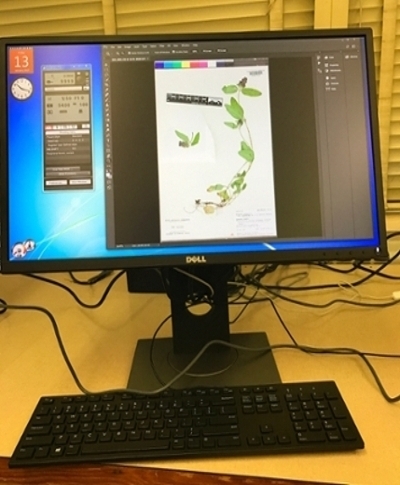 The newsletters are also available below. 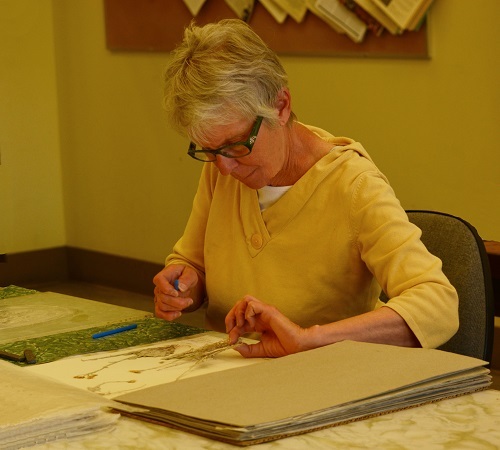 the Rocky Mountain herbarium has expanded! 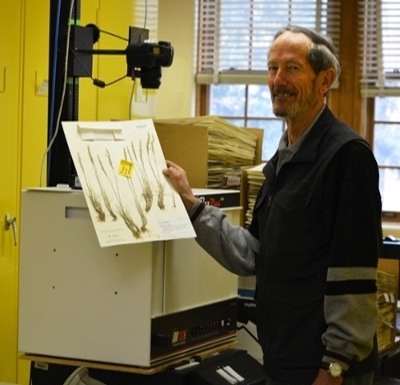 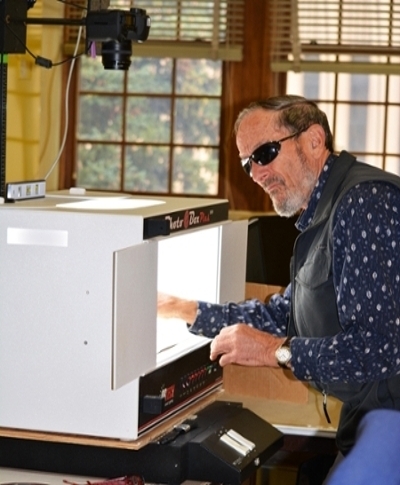 As part of the plant archiving process, the RM has expanded their Imaging Lab. 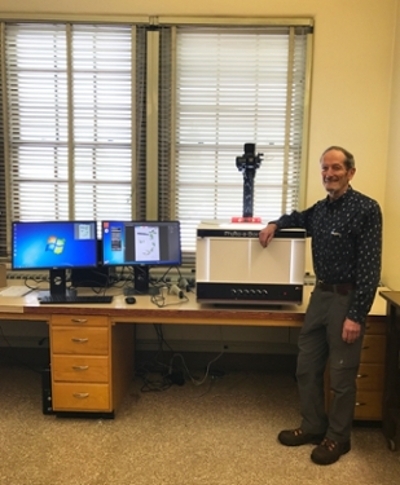 We now have two light boxes and two cameras to capture a digital image of each plant specimen. 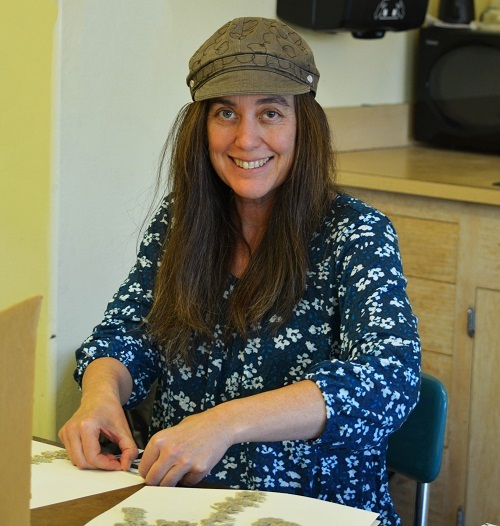 The Rocky Mountain Herbarium volunteer program celebrated our second year! 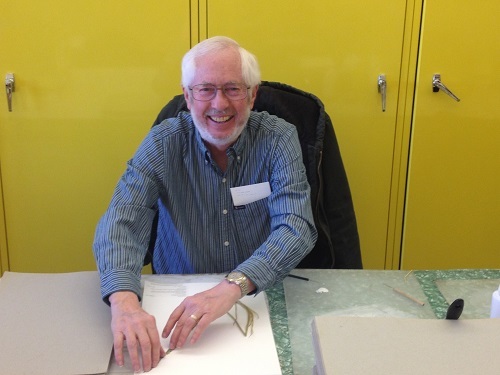 We have over 12,000 volunteer hours logged! 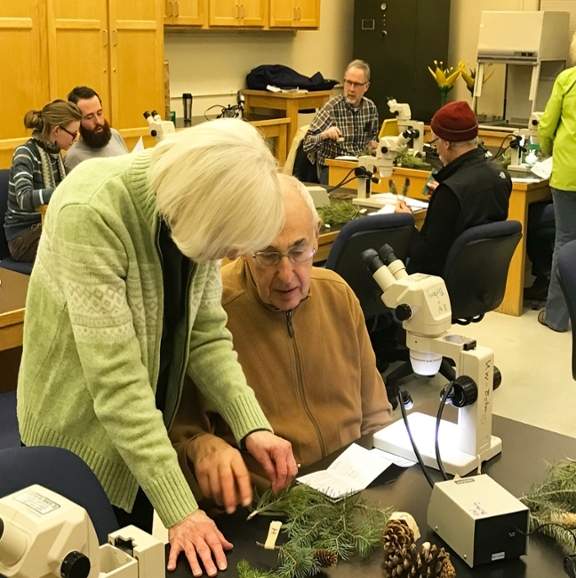 With dedicated volunteers from the community, we've been making progress at processing a backlog of over 300,000 thousand dried plant specimens. 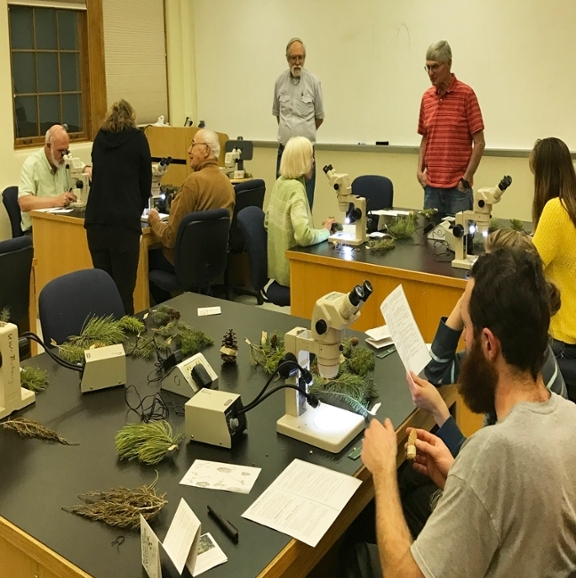 We also held a conifer identification workshop at our last open house. 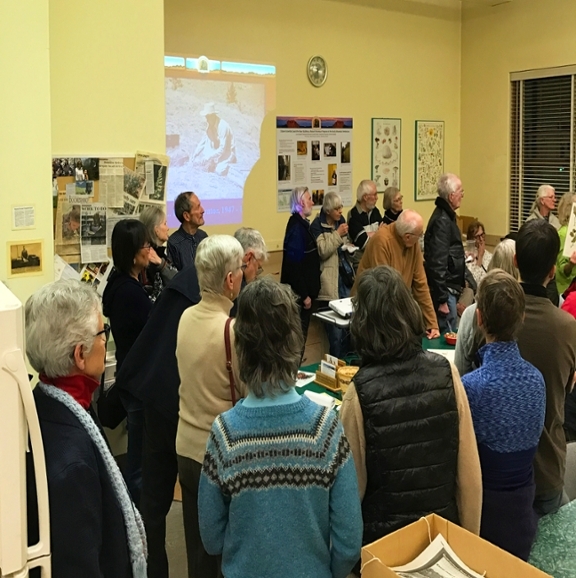 Attendance was a huge success, shoulder to shoulder. 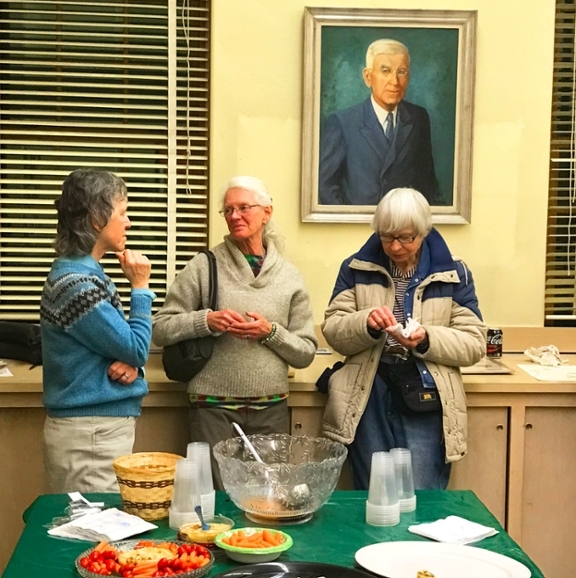 From that successful night, more volunteers have joined! 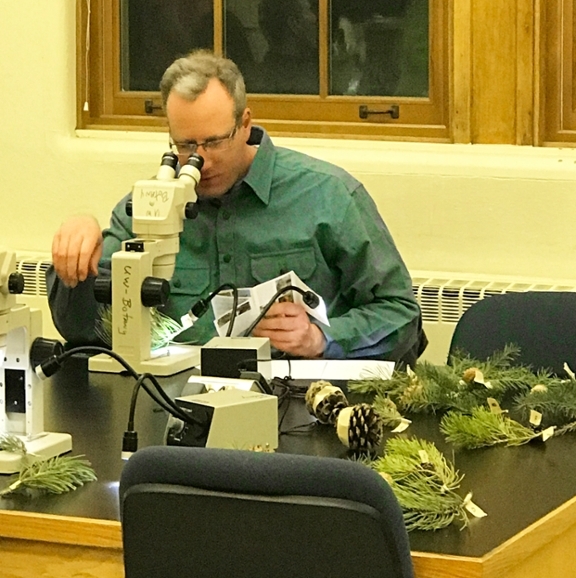 The Rocky Mountain Herbarium, Department of Botany and Biodiversity Institute are bringing Dan Reinhart, Chief of Natural Resources, Grand Teton National Park to talk. 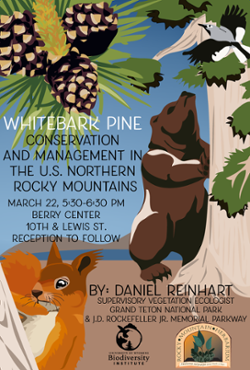 "Whitebark Pine Conservation and Management in the U.S. Northern Rocky Mountains." 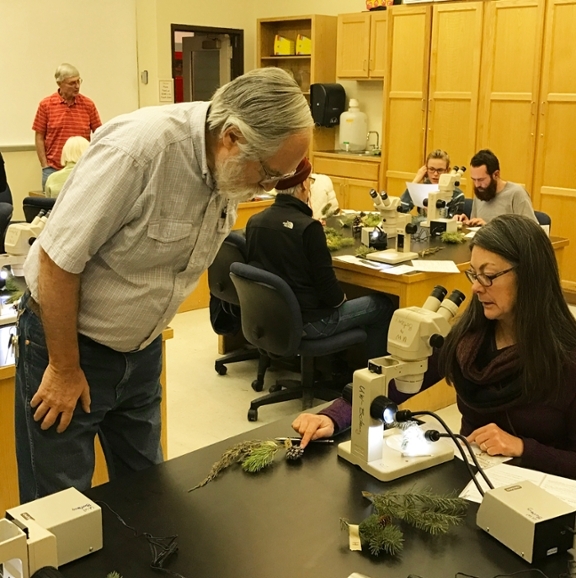 Dan Reinhart will also be talking at the Botany Brown Bag Seminar on March 22, 2018.